The word “manipulation” got plenty of use in the NASCAR community earlier this season, in the aftermath of a race at Richmond International Raceway where Michael Waltrip Racing teammates Clint Bowyer and Brian Vickers appeared to conspire to help teammate Martin Truex, Jr., qualify for the sport’s post-season Chase for the Sprint Cup. Bowyer appeared to spin his car deliberately to force a late caution flag – a tactic he has steadfastly denied – while Vickers pitted his apparently undamaged machine with just a handful of laps remaining, handing Truex an additional (and undeserved) position on the race track. Much was made of those tactics, and rightly so. Audio soon surfaced of Bowyer’s crew chief, Brian Pattie, telling his driver, “The 39 (Ryan Newman) is going to win the race. Is your arm starting to hurt? I bet it's hot in there. Itch it." NASCAR responded with an unprecedented series of penalties, slapping MWR with a record $300,000 fine and assessing point penalties that cost Truex his place in the Chase. Those sanctions triggered a lengthy debate about ethics, sportsmanship and fair play in NASCAR, with considerable criticism of the sport’s traditional, “if you’re not cheating, you’re not competing” attitude. Last week, we learned that NASCAR is far from alone when it comes to lapses in sportsmanship. 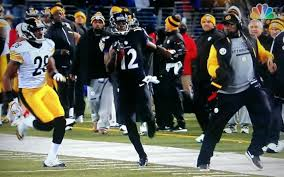 On Thanksgiving Day, Pittsburgh Steelers head coach Mike Tomlin incited a storm of controversy when he stepped onto the field during a kickoff return by Baltimore Raven Jacoby Jones, forcing Jones to alter his stride and allowing him to be tackled from behind. Tomlin’s move robbed the Ravens of a potential touchdown, but he was not penalized by game officials. While Tomlin later admitted he was wrong and accepted responsibility, the play stood as called. NFL officials are still debating whether to fine the Steelers coach for his actions. Tomlin’s misstep was not the only recent example of a coach checking his sportsmanship at the door in an effort to win. Out of time outs with just 8.3 seconds remaining in a Thanksgiving Eve loss to the Los Angeles Lakers, Brooklyn Nets coach Jason Kidd also stepped to the dark side, intentionally dumping a cup of Coca-Cola on the court to stop the game and give himself an opportunity to diagram a final play for his team. 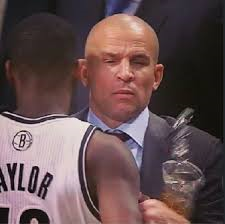 Video replays appeared to show Kidd saying, "hit me" to Nets guard Tyshawn Taylor, before bumping into Taylor and dropping a nearly full cup of Coke and ice cubes on the court. "Sweaty palms,” claimed a sheepish Kidd, a 10-time NBA All Star with the Dallas Mavericks, Phoenix Suns and New Jersey Nets. “I was never good with the ball. "In the heat of the battle, you're trying to get guys in and out of the game,” said Kidd. “The cup fell out of my hand." Taylor denied intentionally colliding with Kidd, saying, “I wasn't paying attention. I just kind of bumped into him. I didn't even know he was holding (anything).” That explanation falls short of Bowyer’s now-infamous “poison oak” excuse, but on the implausibility scale, it comes awfully close. After a $50,000 fine assessed by the NBA, Kidd eventually elected to come clean, saying he dumped the drink in an effort to put his team in a position to win. "It's about trying to win (for) those guys in that locker room,” said Kidd via Twitter. “I tried to put those guys in position to get a basket or a good look." Interestingly, last week’s splashdown was not the first instance of Kidd stepping outside the rules to create an opportune stoppage in play. During his playing days with the Mavs, Kidd once made intentional contact with Atlanta Hawks coach Mike Woodson while dribbling up the sideline, before pointing at Woodson and accusing the coach of impeding his progress. Who does this guy think he is, Mike Tomlin? In a strategic move designed to expand its commitment to enhancing event experiences and fan engagement, as well as solidify the future of one of the premier racing and entertainment facilities in the Midwest, NASCAR announced today that it has purchased Iowa Speedway. The agreement, finalized today under a wholly-owned subsidiary, Iowa Speedway, LLC, is effective immediately. “Iowa Speedway is a great entertainment facility with a very bright future,” said Eric Nyquist, NASCAR vice president, strategic development. “The facility has the support of the region, it’s positioned well in the heart of the Midwest, and year in and year out it provides great short-track racing action for motorsports fans. The facility, located 30 miles east of Des Moines in Newton, features a fast, .875-mile asphalt paved tri-oval designed by NASCAR Hall of Famer Rusty Wallace. The Speedway released its 2014 schedule earlier this month, encompassing three weekends, one each in May, July and August. The schedule will include two NASCAR Nationwide Series races, a combination NASCAR Camping World Truck Series and IndyCar Series weekend, plus two additional NASCAR K&N Pro Series support races. NASCAR has no plans for Iowa Speedway to host a NASCAR Sprint Cup Series race next year or in the immediate future. NASCAR will host a special event in Des Moines on Thursday, Dec. 12, to outline additional details on the purchase and plans for the future. Information on this event will be announced soon. The 2014 Iowa Speedway season opens May 17-18, with the NASCAR K&N Pro Series East versus West Challenge on Saturday night. The stars and cars of the NASCAR Nationwide Series then will battle on Sunday in a 250-lap, high-speed contest. The race marks the only Sunday afternoon event of the season at Iowa Speedway. The new NASCAR Camping World Truck Series / IndyCar Series race weekend at Iowa Speedway is slated for July 11-12. The NASCAR Camping World Truck Series will race Friday night and feature short-track racing action that has become synonymous with the series in the American Ethanol 200. The first-ever Iowa Corn Indy 300 will follow on Saturday night. On Friday, Aug. 1, a second NASCAR K&N Pro Series East versus West challenge race will be held followed by a second NASCAR Nationwide Series 250-lap event on Saturday under the lights. Season ticket holders may renew their tickets for the 2014 season, and will have an exclusive right to secure their current seats until Dec. 14. All other seats are available for purchase immediately, with season ticket prices starting at $95. All season tickets will include a guaranteed seat location, complimentary Casey’s Fan Walk pass and an opportunity to participate in pre-race ceremonies. Season tickets, parking passes and onsite camping options are available online at www.iowaspeedway.com, or by calling the toll-free ticketing hotline, 866-RUSTY-GO (787-8946). Iowa Speedway’s ticketing office, located at 3333 Rusty Wallace Drive in Newton, also will be open to assist customers from 9 a.m. to 5 p.m. Monday through Friday and 9 a.m. to 3 p.m. Saturday, holidays excepted. 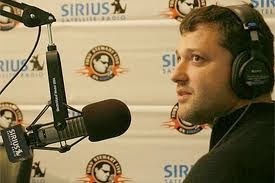 Three-time NASCAR Sprint Cup Series champion Tony Stewart will host a special edition of Tony Stewart Live on SiriusXM NASCAR Radio on Tuesday, December 3 from 7:00 to 9:00 pm ET, at the start of NASCAR Champions Week. Stewart and co-host Matt Yocum will broadcast live from Charlotte, NC, where they will review the year that was in NASCAR. Stewart will share his thoughts on the most memorable moments of the year on the track and off, talk live with 2013 NASCAR Sprint Cup Series champion Jimmie Johnson about his sixth career title, and discuss Stewart-Haas Racing’s prospects for 2014 and his recovery from the accident that sidelined him earlier this year. Fans can call in to the show to talk live with Stewart and Yocum (1-800-PIT-LANE) or share their thoughts on the season by tweeting @SiriusXMNASCAR and using hashtag #TSL. The broadcast will be available to listeners nationwide on SiriusXM NASCAR Radio, channel 90 on Sirius and XM Premier, and on the SiriusXM Internet Radio App. Rockin’ Rodney Brooks and the Trinity Oaks Senior Living Community/KOMA Unwind Ford team ended their 2013 season on a disappointing note Saturday, when engine failure put their new Ford Mustang on the trailer prior to the start of the Pro All Stars Series “Mason Dixon Meltdown” at Southern National Motorsports Park in Kenly, North Carolina. While the Trinity Oaks/KOMA Unwind Ford team has completed its 2013 racing schedule, there are still three off-track appearances remaining. The team will take part in Holiday Parades in both Salisbury and Mooresville, NC, on Tuesday and Wednesday of this week, before appearing on behalf of ARBodies at the annual Charlotte Auto Racing Show (CARS) on December 5-7 at the Charlotte (NC) Convention Center. About Godfather Motorsports – Godfather Motorsports is owned by Motor Racing Network and Sirius XM NASCAR Radio personality Dave Moody and enjoys major sponsorship from Trinity Oaks Senior Living Community of Salisbury, NC. The team also boasts a comprehensive list of technological and marketing partners that includes Valvoline Motor Oil, Eibach Springs, ASM Graphics, Race 101, CV Products, ARBodies and Phantom Racing Gear. For additional information on the team and marketing opportunities with Godfather Motorsports, contact Dave Moody -- mrnturn1@hotmail.com. Visit the Godfather Motorsports website at www.GodfatherMotorsports.com. About Trinity Oaks Senior Living Community -- Located in historic Salisbury, North Carolina near the gently rolling hills of the Blue Ridge Mountains and a few hours from the magnificent Carolina beaches. The community is conveniently located near Interstate 85 and midway between two airports, Charlotte and Greensboro, making travel easy. Here, the area is highlighted by gentle changes in the seasons. Trinity Oaks is a continuing care retirement community where those 60 and over focus on enhancing life’s many opportunities. The Trinity Oaks campus has become a Salisbury landmark where traditions of the past blend with the culture of the future. historic Salisbury, NC, Trinity Oaks is a continuing care retirement community where residents age 60 and over enjoy a lifestyle filled with activities, group and individual outings and personal enrichment opportunities. Its impeccably maintained campus is a Salisbury landmark, blending traditions of the past with state of the art amenities, fine dining and time spent in the company of others who share a passion for life. Learn more about Trinity Oaks at www.trinityoaks.net. About KOMA Unwind -- Developed by BeBevCo., KOMA Unwind relaxes those who drink it; improving the duration and quality of their sleep with both flair and favor. KOMA Unwind is formulated to relax the body, mind and soul. It is the perfect lifestyle beverage for those who want to reduce stress and anxiety, and get a great night's sleep. The relaxation or "anti-energy" drink category is fairly new to the beverage industry. KOMA Unwind is dedicated to helping consumers achieve a level of relaxation without the use of pills or alcohol, fueling a "relaxation revolution" of consumers determined to chill without a pill. Unite with KOMA Unwind for its "relaxation revolution" by joining us on Facebook (www.Facebook.com/KOMAUnwind) and following us on Twitter @KOMAUnwindNews. WHO-TV in Des Moines, Iowa is reporting today that Iowa Speedway will operate under new ownership in 2014. The track’s current owner, US Motorsport Corporation, has experienced periodic financial difficulties in recent seasons, despite drawing sizeable crowds for NASCAR Nationwide Series (eight races) and NASCAR Camping World Truck Series (seven races) since 2009. Designed and partially owned by former NASCAR champion Rusty Wallace, the speedway has also hosted events for the IZOD IndyCar, ARCA and K&N Pro Series East and West Series since first opening its gates in 2006. The ownership group will meet with the Newton, Iowa City Council Tuesday afternoon to discuss the sale of the speedway and its assets to an as-yet undisclosed group. The new owners have been identified in preliminary documents only as Iowa Speedway L.L.C. The council is expected to approve the reassignment of various agreements governing operation of the track to Iowa Speedway L.L.C., and to approve the continued use of land owned by Newton Municipal Airport for parking during race events. The track will reportedly host only three race weekends next season; down from five in recent years. An official announcement on the sale is expected after the upcoming Thanksgiving holiday. JTG Daugherty Racing has announced a technical alliance with Richard Childress Racing that will include receiving ECR Engines and engineering services during the 2014 NASCAR Sprint Cup Series season with driver AJ Allmendinger behind the wheel of the No. 47 entry. “We certainly appreciate all the support that Toyota Racing Development has provided to JTG Daugherty Racing for five years and we are great fans of their business model,” JTG Daugherty Racing co-owner Tad Geschickter said. After nearly 15 years of success in the NASCAR Nationwide Series, JTG Daugherty Racing ventured into the NASCAR Sprint Cup Series with driver Marcos Ambrose at Indianapolis Motor Speedway in July of 2008. Ambrose went on to score the team’s career-best finish with second-place at Watkins Glen International on August 10, 2009. 2000 NASCAR Sprint Cup Series champion Bobby Labonte took the reins in 2011 and delivered his best finish with the team at Daytona International Speedway on February, 20, 2011 when he crossed the finish line in fourth-place. This season AJ Allmendinger has earned the team’s best finish of the season (10th-place) at Watkins Glen International in August and will be behind the wheel of the No. 47 full-time starting in 2014. “With our RCR alliance and AJ behind the wheel, we are looking forward to a fresh start in 2014,” Geschickter said. 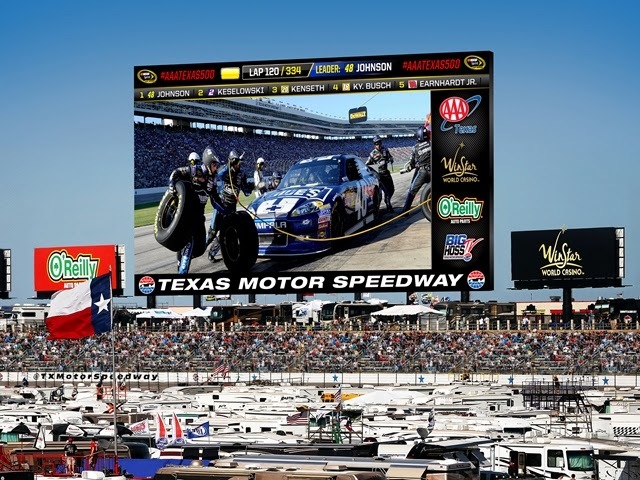 Texas Motor Speedway will usher in a new era in 2014 with the arrival of the world's largest HD video board by closing the backstretch seating so all ticket holders can benefit from the new amenity as well as offering the lowest-priced individual frontstretch ticket for NASCAR Sprint Cup Series races in speedway history. Texas Motor Speedway will offer select individual seating on the frontstretch for $30 to both the Texas 500 (Sunday, April 6) and AAA Texas 500 (Sunday, Nov. 2), the best price point for a NASCAR Sprint Cup event since the speedway opened in 1997. The previous low was $40 in the inaugural year and the 2014 pricing offers a 38 percent savings from the lowest individual frontstretch ticket of $49 available this past season. The price point also will become the most economical for all Sprint Cup race seating as the backstretch grandstand will be closed for those races beginning in 2014. The section offered 1,000 seats in the first two rows for Sprint Cup races at $20 and the remaining 8,955 seats at $40. The section was not being utilized at the present time for any other annual major races (IndyCar Series, NASCAR Nationwide Series, NASCAR Camping World Truck Series) with the exception of the Sprint Cup Series events. 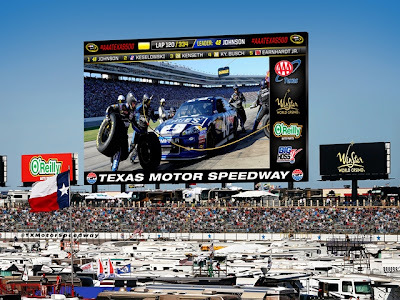 The move, which reduces the overall grandstand seating capacity to 112,552, will allow all fans with seats the opportunity to enjoy the world's largest video board beginning with its debut at the Texas 500 NASCAR doubleheader weekend. "If we're building the world's largest high-definition video board, why would we want any of our fans having their backs to such a tremendous fan amenity?" Texas Motor Speedway President Eddie Gossage said. "It is going to be the biggest and best fan enhancement in the history of the speedway and we want to ensure that all of our fans enjoy this spectacular addition. And for those fans that enjoyed the economical seating on the backstretch, we are now providing the lowest-priced Sprint Cup frontstretch race ticket in our history to help accommodate their budgets while giving them a much better vantage point of all the action." The video board, nicknamed "Big Hoss TV," will be constructed by Panasonic directly behind those backstretch grandstands, standing 12 stories high and providing 20,633 square feet of high-definition television for race goers. During race weekends, the video board will feature live race coverage, leaderboard information, driver and race statistics, instant replays, interactive entertainment and more to enhance the overall fan experience. Individual tickets, including the $30 seating, for April's Texas 500 will go on sale Feb. 14. Tickets for November's AAA Texas 500 Chase for the NASCAR Sprint Cup race will go on sale at a later date following the June 7 Firestone 600 IndyCar Series race at Texas Motor Speedway. It’s been a long road back for Rockin’ Rodney Brooks and the Trinity Oaks Senior Living Community/ KOMA Unwind Ford team, after a devastating crash two weeks ago at Caraway Speedway. Left with a virtually demolished race car and less than two weeks to rebuild, the team burned gallons of midnight oil in order to make their final scheduled start of the 2013 season in Saturday’s “Mason Dixon Meltdown” at Southern National Motorsports Park in Kenly, NC. Brooks and the Trinity Oaks/KOMA Unwind team will debut a new Ford Mustang body from ARBodies on the No. 30 Super Late Model this weekend, and Brooks said he is highly motivated to finish the season with a top finish. 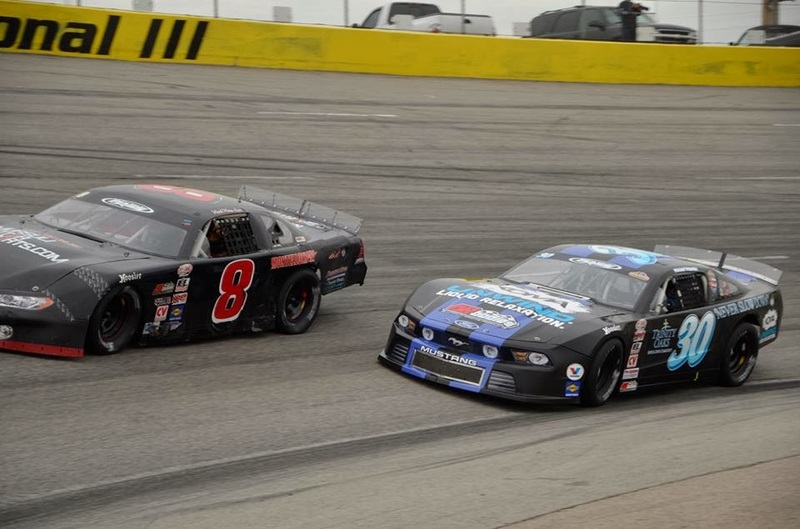 Saturday’s “Mason Dixon Meltdown” is highlighted by a 200-lap event for the Pro All Stars Series Super Late Models; a race that will determine both the PASS National and South Series champions. Also on the docket are the winged, 410-cubic inch Must See Racing Xtreme Sprint Cars, PASS Pro Late Models and Mini Cup cars. Pit gates open at 9 AM Saturday, with practice from 10:45 AM – 1 PM. Qualifying will begin at 1:30 PM, with racing to commence at 3:00. The UNOH Battle At The Beach, a short-track event held for the first time earlier this year featuring NASCAR’s regional and touring series, will return to Daytona International Speedway during Budweiser Speedweeks 2014 on Tuesday, Feb. 18. The action-packed day of practice, qualifying and racing will be headlined by two 150-lap events with the NASCAR K&N Pro Series East and the NASCAR Whelen Modified Tour. For competitors in the NASCAR K&N Pro Series East, the 150-lap race will be a championship points event while it will be a non-points 150-lap race for the NASCAR Whelen Modified Tour. In last year’s inaugural UNOH Battle At The Beach NASCAR K&N Pro Series race, Cameron Hayley came from behind during a green-white-checkered finish to capture the victory. In the NASCAR Whelen Modified Tour race, NASCAR veteran Steve Park finally earned his first Daytona victory. Daytona International Speedway has reached an agreement with a number of area hotels to secure special room rates during the UNOH Battle At The Beach to make it more affordable for racers and fans to attend the UNOH Battle At The Beach. For more information can be found at http://daytonahotelmotel.com/speedway-short-track. An UNOH Battle At The Beach event schedule and details on tickets will be released at a later date. Tickets for the NASCAR’s biggest, richest and most prestigious race – the 56th annual DAYTONA 500 on Sunday, Feb. 23 – start at $65 and are available at www.daytonainternationalspeedway.com or by calling 1-800-PITSHOP. Phoenix Racing today announced that Steve Addington will serve as competition director for the team and crew chief of the No. 51 Chevrolet for the 2014 NASCAR Sprint Cup Series season. The move brings experienced leadership to the team that will compete fulltime in 2014 under owner Harry Scott, Jr.
"In my opinion Steve is the perfect guy for the job," said Scott. "He is part of the Chevrolet family, the Hendrick family and I feel fortunate that he is now part of our family." "I also want to thank Jimmy Elledge for stepping in at a critical time this season and serving as the interim crew chief for the past six races," Scott said. "We look forward to hopefully working with Jimmy again down the road." "I am thrilled to be part of the Phoenix Racing team and working with Harry," said Addington. "Harry has a vision to make this team a championship contender and I am excited to be part of it." 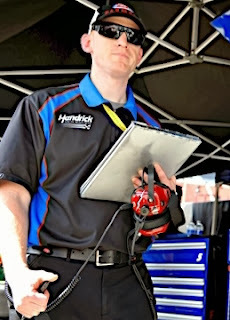 Addington has served as a crew chief in the NASCAR Sprint Cup Series for ten years and has amassed 20 wins, 66 Top 5s and 105 Top 10s during that time. He was crew chief for Kyle Busch in 2008 when they won eight races. That year included a stretch where they won seven out of 14 races including at varied tracks such as Talladega, Darlington and Sonoma. During 2010 – 2011 Addington was crew chief for Kyle's big brother Kurt Busch and won four races and had 17 Top 5s and 33 Top 10s. During the 2010 season the Kurt Busch – Addington tandem pulled off the Charlotte sweep winning the Sprint All-star and the Coca-Cola 600. Most recently Addington was Tony Stewart's crew chief. 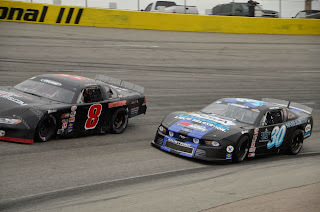 The Stewart – Addington combination won at Dover International Speedway this season along with five Top 5s and eight Top 10s before Stewart was injured ending his season. In 2012, the combo racked up three wins, 12 Top 5s and 16 Top 10s on the way to a 9th place finish in the championship points standings. Scott purchased Phoenix Racing in September of this year from James Finch. Since then a number of drivers have piloted the No. 51 including Justin Allgaier, Michael McDowell and Kyle Larson. Additional information about the 2014 driver of the No. 51 Phoenix Racing Chevrolet and its sponsor will be announced at a later date. Stewart-Haas Racing has reorganized its competition department as the championship-winning race team expands to field four cars in the NASCAR Sprint Cup Series beginning in 2014. Greg Zipadelli has been named vice president of competition where he will manage all four Sprint Cup teams, with each crew chief reporting to him. Matt Borland has been named vice president of engineering. In this role, Borland will oversee all of the team’s technical initiatives and various research and development projects. He will also transition from being an active crew chief to that of a mentor, specifically in regard to the crew chief position on the No. 41 Haas Automation team of driver Kurt Busch. Daniel Knost has been promoted from race engineer on the No. 39 team to crew chief for the No. 41 Haas Automation team with Busch. Knost joined SHR in 2008 when it was Haas-CNC Racing after earning master of science and doctorate degrees in mechanical engineering from Virginia Polytechnic Institute and State University (Virginia Tech). Knost graduated from North Carolina State University in Raleigh with a bachelor of science degree in mechanical engineering in 2001. In his six-year tenure with SHR, Knost has run the team’s seven-post shaker rig and assisted with at-track simulation support from 2008 through 2011. He became the race engineer for SHR’s No. 10 GoDaddy Chevrolet and driver Danica Patrick for eight races during its limited schedule in 2012 before moving to the No. 39 team in the same role. Chad Johnston has been named crew chief for the No. 14 Bass Pro Shops/Mobil 1 team of three-time Sprint Cup champion Tony Stewart. Johnston comes to SHR from Michael Waltrip Racing where since June 2011 he was the crew chief for the No. 56 team and driver Martin Truex Jr. Johnston joined MWR in 2010 as a race engineer. Johnston replaces Steve Addington, who has left SHR to pursue other opportunities. Like Stewart, Johnston is an Indiana native. The two have worked together previously, as Johnston was the race engineer for the Morgan-Dollar Motorsports NASCAR Camping World Truck Series team in 2004-2005 where Stewart competed in three races, scoring two top-three finishes. Johnston graduated from Indiana State University in 2003 with a mechanical engineering degree. Rodney Childers will be the crew chief for the No. 4 Budweiser/Jimmy John’s team of driver Kevin Harvick. Childers joined SHR in late October from MWR, where since 2009 he was a crew chief, first with the No. 00 team of driver David Reutimann (2009-2011) and later with the No. 55 team of drivers Brian Vickers, Mark Martin and Waltrip (2012-2013). Childers has been a crew chief since June 2005 when he was at MB2/MBV Motorsports with driver Scott Riggs. 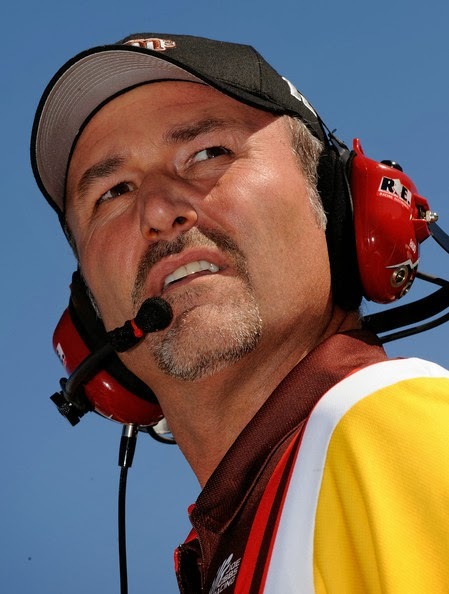 Tony Gibson remains as crew chief for the No. 10 GoDaddy team of Patrick. Roush Fenway Racing is reorganizing its crew chief lineup in 2014. Mike Kelley, who served as the crew chief on the No. 6 NASCAR Nationwide Series team for the past four seasons, will move to the Sprint Cup Series, where he will reunite with Ricky Stenhouse Jr. on the No. 17 NASCAR Sprint Cup Series team. Kelley and Stenhouse partnered to win NNS championships in 2011 and 2012. Kelley has been a staple of the RFR organization for the past decade, serving as the car chief on RFR’s No. 97 Sprint Cup Championship team in 2004. 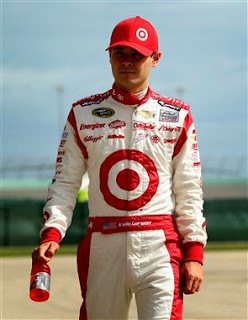 He most recently worked with Trevor Bayne this season, leading the team to a sixth-place finish in the NNS points, including 20 top-10 finishes, a pole and a victory at Iowa. Veteran crew chief Chad Norris will take the helm of the No. 6 AdvoCare team with Bayne in pursuit of the 2014 NNS title. Norris boasts an extensive resume as a crew chief, having worked with Mark Martin, Matt Kenseth, Darrel Waltrip and Carl Edwards. Norris led Bayne to his first career NNS win at Texas in 2011. Scott Graves, who helped lead Stenhouse to the 2013 Sprint Cup rookie of the year award, will crew chief former ARCA Champion Chris Buescher in RFR’s No. 60 Ford. Seth Barbour, who worked with Buescher and Ryan Reed in 2013, will sit atop the No. 16 NNS Ford full time with Reed in 2014. On the Cup side, veteran crew chief Jimmy Fennig will again lead the No. 99 Fastenal team with driver Carl Edwards and Matt Puccia will headman Greg Biffle’s No. 16 3M team. “As with any season we always sit down at the end of the year and evaluate where we are, what we have and what we think are the best options to put our teams in the best position to compete for wins and championships,” said team owner Jack Roush. “In this case, a reorganization that realigns Ricky and Mike, allows Scott to work with Chris and reunites Chad with Trevor, made the most sense. Keith Rodden has been named crew chief for Jamie McMurray and the No. 1 Earnhardt Ganassi Racing with Felix Sabates Chevrolet SS. Rodden will assume the role effective immediately to prepare for the 2014 NASCAR Sprint Cup Series season. Rodden joins EGR from Hendrick Motorsports where he was most recently in the role of lead engineer for the No. 5 Chevy. In his two seasons as the lead engineer on the No. 5, the team won four races and made the Chase for the NASCAR Sprint Cup in both seasons. The Denver, NC native has over 10 years of NASCAR racing experience. Rodden began his racing career as a race engineer for Andy Petree Racing. He has also worked for Evernham Motorsports, Richard Petty Motorsports and Red Bull Racing in similar positions. In 2007, Rodden served as crew chief for Kasey Kahne for multiple races while filling in for Kenny Francis. Rodden is a graduate of North Carolina State University and with his wife Julie and their daughter Emmie, live in Kannapolis, NC. Jamie McMurray will begin his 12th full-time season in the NSCS in 2014. The 2010 Daytona 500 and Brickyard 400 champion has seven overall wins, including his most recent win at Talladega Superspeedway just five weeks ago. The No. 32 NASCAR Nationwide Series team has been penalized due to rule violations discovered during post-race inspection Saturday at Homestead-Miami Speedway. The No. 32 team was found to have violated Sections 12-1 (Actions detrimental to stock car racing); 12-4J (Any determination by NASCAR officials that the race equipment used in the event does not conform to the NASCAR rules detailed in Section 20-A of the 2013 NASCAR Rule Book or has been approved by NASCAR prior to the event); and 20A-12.8.1(B) (The car failed to meet the minimum front car heights). As a result, crew chief Trent Owens has been fined $10,000 and placed on NASCAR probation until April 2, 2014. The team also has been docked with the loss of six championship driver (Kyle Larson) points and six championship car owner (Harry Scott) points. Six-time NASCAR Sprint Cup Series champion Jimmie Johnson will become the first athlete to guest host ESPN SportsCenter, joining anchors John Anderson and Lindsay Czarniak for the 6 p.m. ET show on Tuesday. 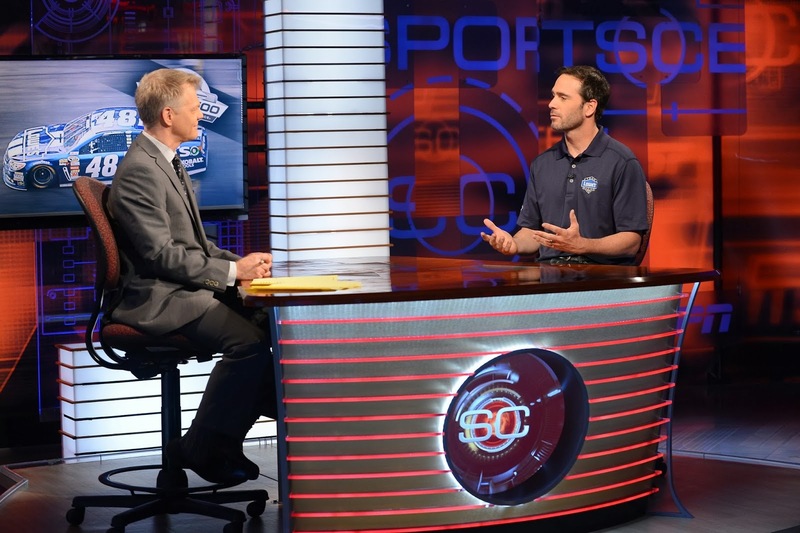 Johnson, who wrapped up his sixth NASCAR Sprint Cup Series title in 12 full seasons Sunday, has appeared on SportsCenter numerous times during his racing career, both in-studio and via satellite. But each time, he did so as a newsmaker. He also appeared in a memorable “This Is SportsCenter” commercial in which he used a pickaxe to remove speed bumps in the ESPN parking lot. But this time, the driver of the Hendrick Motorsports No. 48 Lowe’s Chevrolet will perform all the duties of a SportsCenter host, including presenting news and highlights and conducting interviews from around the world of sports. He will spend the day Tuesday preparing for his guest-hosting responsibilities. Actors Billy Crystal and Ken Jeong are the only other celebrity guest hosts in SportsCenter’s 34-year history. Crystal was the first in 2012 and Jeong hosted earlier this month on Nov. 1. In addition to his SportsCenter guest-hosting duties, Johnson will also appear on Late Show with David Letterman Monday night and LIVE with Kelly and Michael Tuesday morning to talk about his sixth NASCAR Sprint Cup Series title.